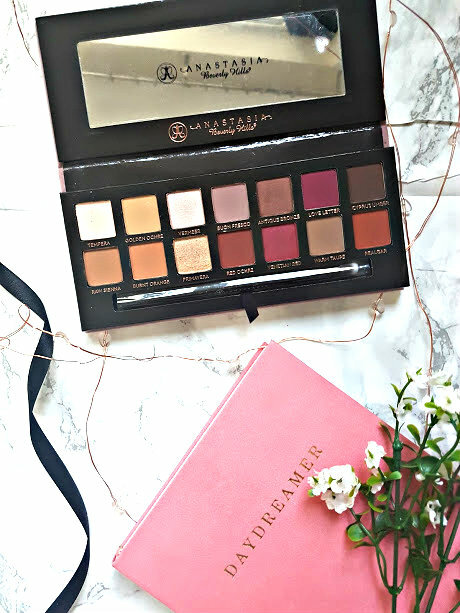 If there's one palette that everyone on the world wide web has been talking about its the Modern Renaissance by Anastasia Beverly Hills. Its taken the world by storm and I've had my close eye on it since it lauched but it never seemed to be in stock. Then a few weeks ago, I saw someone tweet that it what back in stock on Cult Beauty! 3 Days later with a crying bank balance, annoyed post man but a happy Parie it was here. I spent about 1/2 an hour just staring it at it and then another 1/2 an hour taking pictures before I runied the hell out of it. There are 14 shadows in total, 11 of which are matte and 3 are shimmers. The theme of the palette is very warm with a mix of berry and oranges to give you a gorgeous sunset look. The matte eyeshadows are highly pigmented, you need the tiniest little sweep on the brush to get the full colour from them. The shimmers add the perfect amount of glitter without taking your look to too over the top. 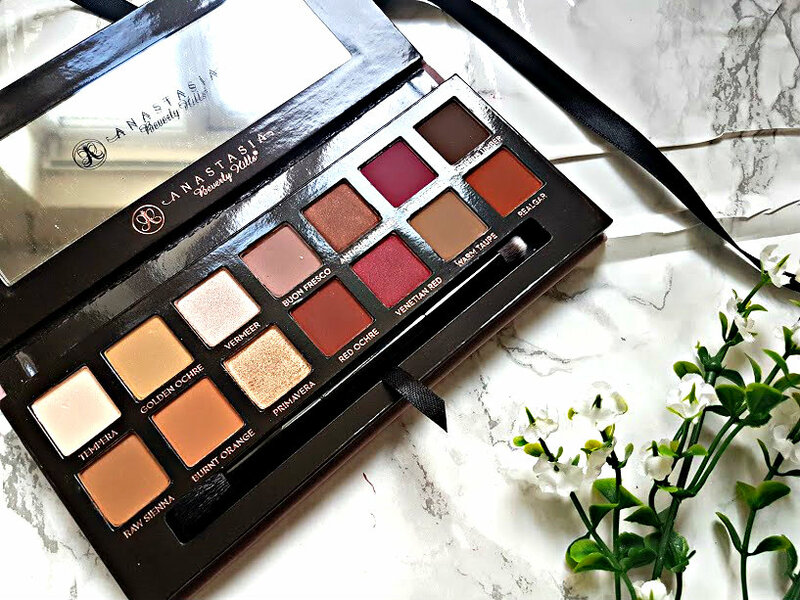 For me, the reason why I so badly wanted the palette was because firstly it's beautiful, my first product from ABH just had to be and eye realted one and thirdly because of the shade range. There's something about the colours offered in this palette that would suit everyone, no matter skin tone. I must admit, I'm very much a netural girl when it comes to makeup but this year has to be the one where I venture out and adding colour is just one to do it! 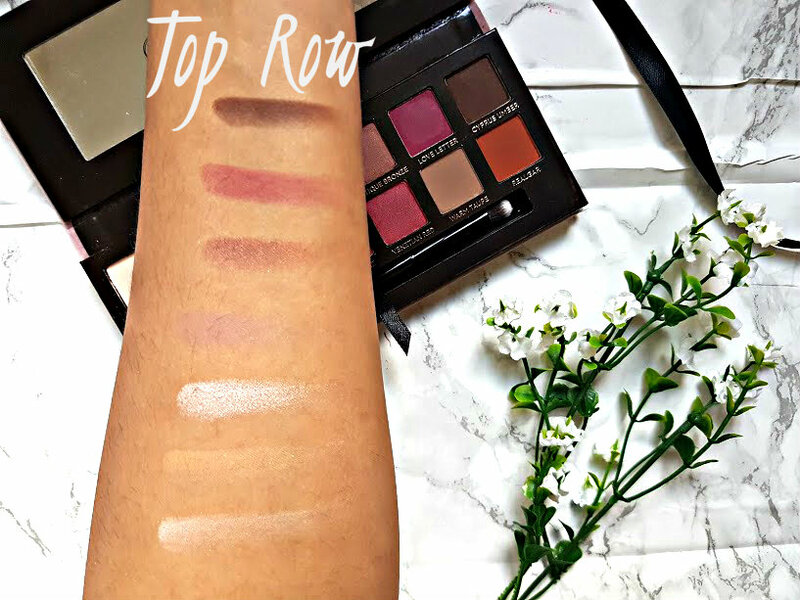 As you move further right towards the palette the shadows get a lot more intense, the shadows are very pigmented, soft and so easy to blend in. You can just see in the swatches just using my fingers that the colour payoff is incredible, just imagine this on your eyes. Top row, from left to right, ‘Tempera’ which is a classic beige, ‘Golden Ochre’a very deep yellow, ‘Vermeer’ a shell like pink, ‘Buon Fresco’ like the colour of lavender, ‘Love Letter’ full on raspberry colour and ‘Cyprus Umber’ a matte dark coffee colour. Bottom row, from left to right, ‘'Raw Sienna’ the perfect crease colou, ‘Burnt Orange’ a deep orange to blend with, ‘Primavera’ to add a gold shimmer to your look, ‘Red Ochre’ one of my favourites to intensify the red, ‘Venetian Red’ a crimson that I have fallen in love with, ‘Warm Taupe’ which is a grey like no other and ‘Realgar’ a brick like red. 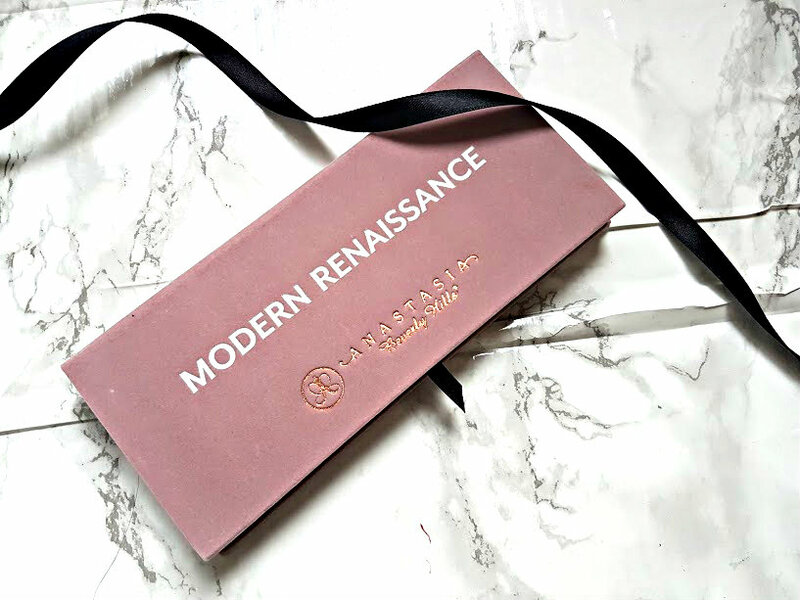 The Modern Renaissance Palette is going to be the first of just many products I try from ABH, its blown me away. I've used this both for day and night looks, both which have kept all day and looked effortless. 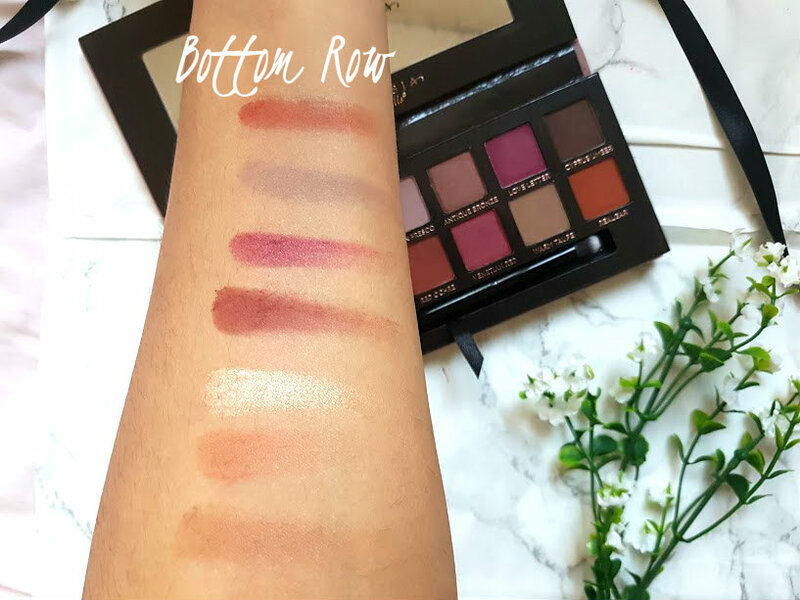 It retails for £41 on both Cult Beauty (waiting list unfortunately), Beauty Bay (in and out of stock ), ABH have also recently launched a UK website! 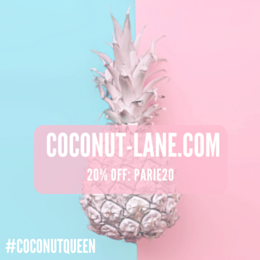 I am very much in love with everything about this palette and it will be making a lot of apperances around here over the next few months, what do you think of this palette? !